The Information Commissioner’s Office has a model publication scheme to help local councils make relevant information available to the public. The Town Council adopted this scheme in October 2016 and we’re always working to improve the quality and accessibility of the information available to the public under the scheme. The scheme is available as a searchable table below. The purpose of this scheme is to make the maximum amount of information readily available at minimum inconvenience and cost to the public. Where we can, we’ve produced a short explanation and links to the information where it is available online. – the costs directly incurred as a result of viewing information. Charges may also be made for information provided under this scheme where they are legally authorised, justified, and are in accordance with the schedules of fees which is published by Durham County Council at any given time. Who’s who on the Council and its Committees The membership of the Council and its various committees is agreed at the Annual General Meeting every year. The 2018/9 committee membership was agreed on 21st May 2018 and can be found in the minutes of the AGM here. 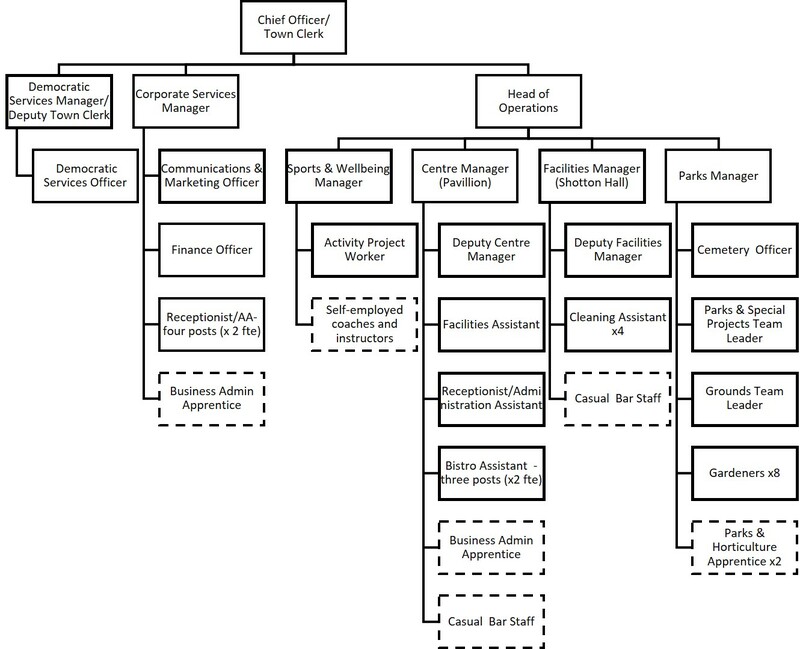 Staffing structure you can view our current staffing structure here. 2016/17 external auditor notice here. External auditor notice 2017/18 here. Precept The precept for the current financial year (2018/19) is £1,274,085. This equates to £289.00 per band D household in Peterlee. This is a 0% increase in Band D precept from the previous financial year. Standing Orders and Financial Regulations The Councils Standing Orders, Financial Regulations, Scheme of Delegation and a range of other policy document can be found here. Complaints procedures (including those covering requests for information and operating the publication scheme) You can find our complaints policy here. "http://www.peterlee.gov.uk/wp-content/uploads/sites/37/2016/04/PTC-Complaints-Procedure-April-2017-web-version.pdf"
Data protection policies Our General Data Privacy Notice is available here. Disclosure log ( indicating the information that has been provided in response to requests; recommended as good practice, but may not be held by parish councils) The Town Council's disclosure log can be viewed here. Register of members’ interests The register of members' interests is maintained by the Monitoring Officer at Durham County Council. You can view the register here. Allotments We have two leisure gardens sites in Peterlee. You can find out more about them here. Burial grounds and closed churchyards Peterlee Town Council manages the town cemetery at Eden Lane. You can find out more about our cemetery and burial services here. Community centres and village halls The Town Council manages The Pavilion Sports & Community Centre on Helford Road. You can find out more about The Pavilion here. Parks, playing fields and recreational facilities The Town Council manages a range of parks, play areas and other open spaces in Peterlee. You can find out more about them here.